Shellfish and sushi consumption is high in the Asia-Pacific, Phoenix and growing all over the U.S. Unfortunately, reports of allergy responses from shellfish have also increased. Shellfish allergies are common in adults compared to children; and in male children compared to female ones. In addition, if your family has a history of shellfish allergies, your child may be more likely to be allergic too. Some of the shellfish causing the allergic reactions are crustaceans and mollusks such as shrimp, crab, lobster, clam, oyster and mussel though prawns/ shrimp was most commonly implicated in shellfish allergies which are commonly found in sushi rolls and at many restaurants. Tropomyosin is the allergen in shellfish causing this immune reaction among other proteins such as arginine kinase. Shellfish proteins can come in contact with your child through ingestion, inhalation – of fumes while cooking – or even skin contact. Allergy reactions vary by age and even by region. 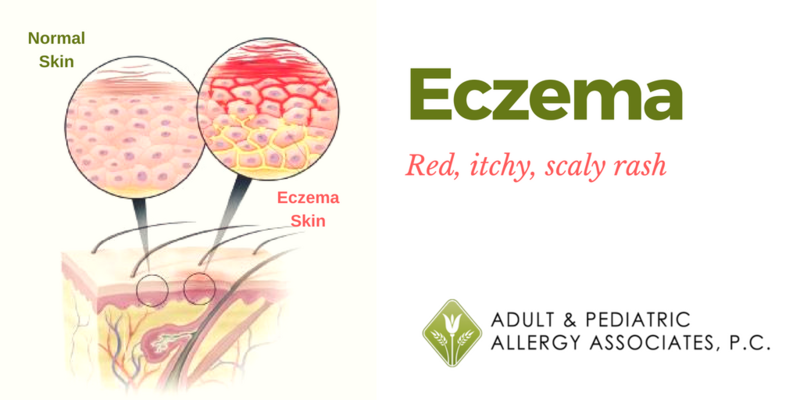 Symptoms of shellfish allergy are hives, eczema, wheezing, dizziness, gastrointestinal symptoms. More severe anaphylactic reactions can cause breathing obstruction, dizziness and shock with high pulse and dropping blood-pressure which can be fatal. It is important to differentiate allergy reaction from shellfish food poisoning. 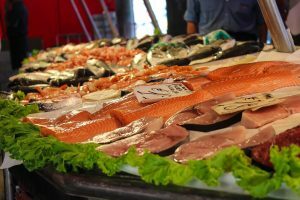 Toxins stored within the shellfish – domoic acid, brevetoxins, saxitoxins, azaspiracids, biotoxins and bacterial/viral toxins – can affect your nervous, gastrointestinal and other systems. Allergic reactions are therefore verified using a variety of tests including skin prick testing. Like most food allergies, avoidance of the allergy-causing food is suggested. You should take care to avoid all shellfish for your child; check with your doctor/dietician. Eating in restaurants where the oil or vessels/surfaces may have come in contact with shellfish can cause allergic reactions. 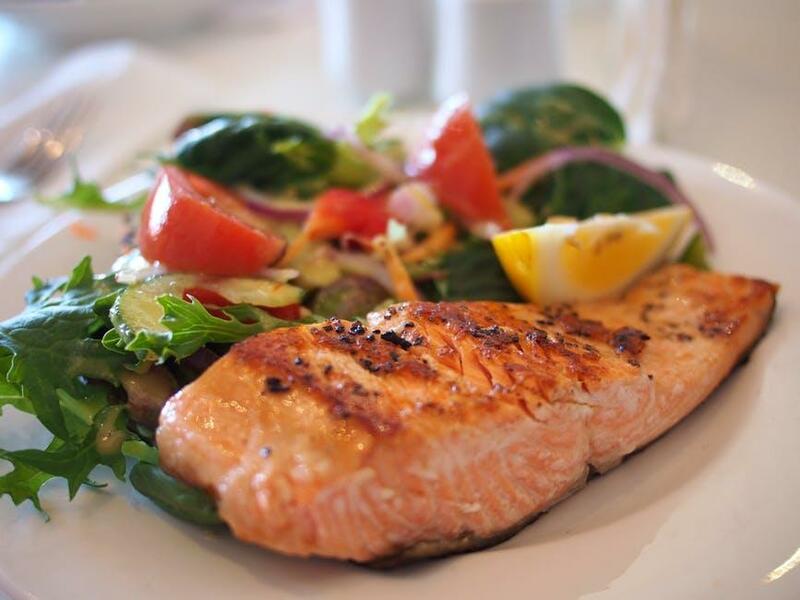 You may decide to avoid restaurants where shellfish or fish are on the menu. Doctors also suggest introducing shellfish earlier – to babies as young as 6 months – as this may actually reduce chances of allergies. 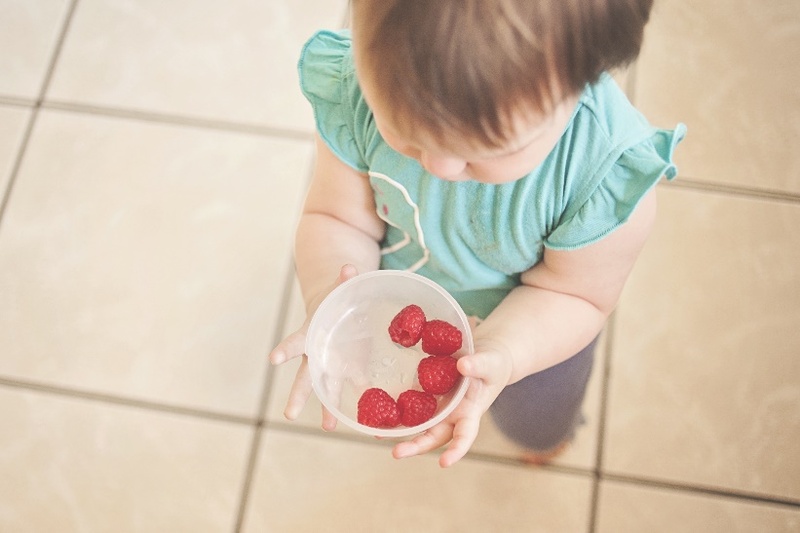 Monitor your child after introducing the new food and if there are no adverse reactions; include the new food as part of his or her regular diet. A study conducted by the National Institute of Allergy and Infectious Diseases (NIAID) reveal that over 5% of children of age five and younger suffer from food allergies. If you suspect that your child suffers from a food related allergy, then visit an allergist without further delay. 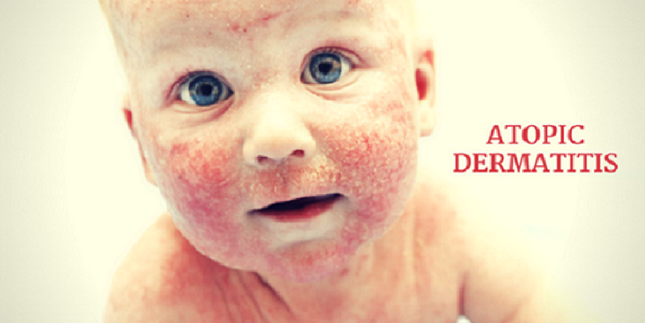 After all, you cannot ignore the health of your little one! And, the sooner you figure out the cause of your child’s allergy, the sooner your child will be able to get relief from their symptoms. Here are a few food allergy tests every parent needs to know about. Skin tests not only help to detect allergies caused by certain types of foods, but also to detect allergies caused by airborne particles, insect stings, and the like. After analyzing your child’s condition and symptoms at the first consultation, the allergist will choose the right allergy test accordingly, such as an intradermal skin test, scratch test, or patch test, etc. In some circumstances, the skin test may be hard to administer for child food allergy testing. In such cases, the allergist can suggest a blood test to detect the food allergy. Some commonly used blood tests to diagnose food allergies include enzyme-linked immunosorbent assay (ELISA or EIA) and radioallergosorbent test (RAST). In the elimination diet test, foods that are suspected to trigger a reaction are eliminated from the patient’s diet. More often than not, such trigger foods are eggs, milk, soy, peanuts, and wheat. 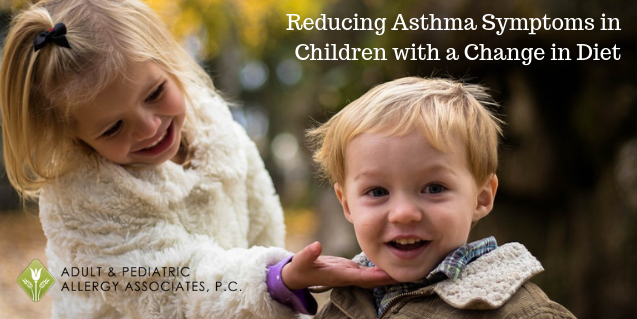 Get in touch with the experienced team of allergists at Adult & Pediatric Allergy Associates P.C. 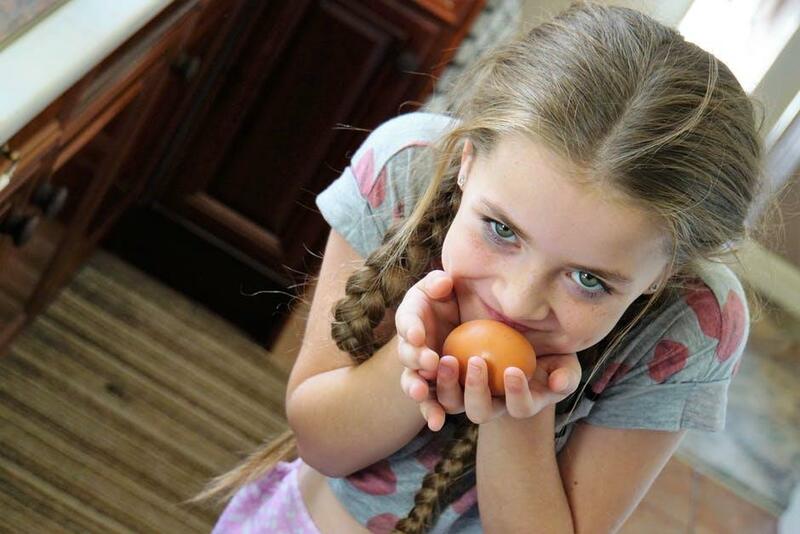 to diagnose the food allergy your child is suffering from. Our team will find the most suitable therapeutic interventions for your little one, including diet changes, allergy shots, and medication.